StratosMedia is introducing a new facial audience analysis feature to its product suite as part of it’s core offering. Soon you will have the ability to track basic audience metrics by simply adding a camera. 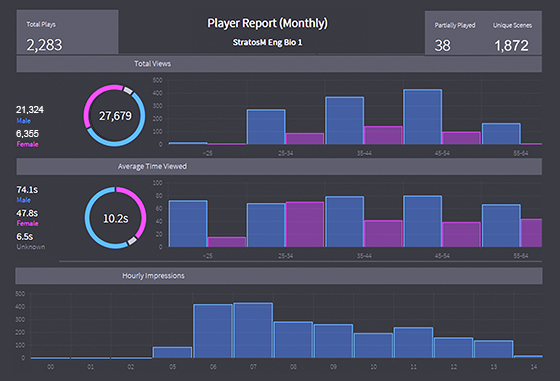 Insights such as dwell time and gender, will now be available as a standard reporting feature, allow better insight and understanding into your audience metrics. With real time reporting you will see users as they happen. Facial analytics will work with both Interactive Kiosks and displays created with the StratosMedia product. Content triggering will also be possible as an added service on top of the existing services provided by StratosMedia. Facial analytics will be available soon. Sign up for a free 30 day trial account.